The Standard Audit File for Tax is increasingly adopted within European countries. Even if SAF-T in Norway has been subject to preparatory works and an ongoing debate since 2014, it still raises a lot of questions due to lack of information from the tax authorities. Due to the fact that SAF-T is anticipated to be introduced as from 1 January 2018, it is recommended to start preparing for its implementation right now. When we can expect it? Who is falling within the obligation? Will the SAF-T have impact on foreign based companies registered in Norway? What is the scope of SAF-T? What is themain objective and positive effect of SAF-T? Are there any defined SAF-T filing deadlines? What about the VAT return? Standard Audit File for Tax (SAF-T) is an electronic format for efficient transfer of accounting data from companies to tax authorities or external auditors. Its content isbased on the recommendation and guidance issued by OECD and is presented in electronic format (.xml). The scope of the SAF-T is subject to assessment by each country. In Norway the basis for the introduction of the SAF-T was the XSD from the OECD working group version 2 from 2010. The implementation of the SAF-T standard is addressed mainly to software developers, but in the end it imposes an obligation to provide the applicable accounting data for the companies to the tax authorities. 2.When we can expect implementation? A voluntary SAF-T reporting was introduced in Norway from 1st of January 2017. A mandatory reporting requirement is proposed to be introduced 1st of January 2018. However, the mandatory introduction date is according to what we experience currently reconsidered by Norwegian Tax Authorities. It is agreed that until a decision from the Ministry of Finance is available, the scheme will be kept voluntary. 3.Who is falling within the obligation? The requirement of filing SAF-T is targeted at larger businesses undertaking a lot of transactions. However, if the smaller businesses have bookkeeping information electronically available, the requirement to submit SAF-T still applies. 4.Will the SAF-T have impact on foreign based companies registered in Norway? Yes, as the SAF-T obligation concerns all businesses storing their accounting records electronically. 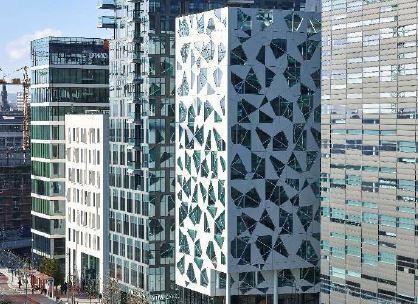 Even foreign entities that are registered for Norwegian VAT without a VAT representative and keep their records on servers abroad will have to adapt their systems to the new SAF-T standard. Please note that according to the Norwegian Bookkeeping legislation, the accounting records have to be stored in Norway, but may upon an application store them on servers abroad. 5.What is the scope of SAF-T? The first version of the SAF-T Financial is limited to the general ledger, the accounts payable and receivable transactions including all applicable master data. That encompasses all accounts with documentation date and documentation reference (and/ or other relevant processing codes), and incoming and outgoing balances. Input and output VAT must be specified per transaction. It is anticipated that in the future, the scope will be expanded to include additional accounting data, such as detailed invoice data andmovement of goods. It is possible that also other data elements will be added, including VAT filing. 6. How does it work in practice? The applicable accounting data stored in the companies’ accounting systems have to be exported into the .xml data format. Standardized VAT codes have to be applied in the systems. Therefore, it is necessary to create a mapping of whether your business is in a position to extract the applicable data required by SAF-T or make sure that the current version of your ERP-system has the functionality to extract automatically the applicable data for SAF-T filing and convert it into an .xml format. The mandatory way to submit the SAF-T data is via the Altinn portal (a web portal for electronic dialogue between businesses, citizens and public administration). At the moment, it is possible and suggested to take part in testing submission of SAF-T (test submission has already started in September 2016). It is confirmed that data exported from various systems and/or different periods will be assembled properly by the tax authorities. In case of technical problems, transfer of data will be facilitated without use of Altinn. 7.What is the main objective and positive effect of SAF-T? The main objective of SAF-T introduction is to simplify the exchange of accounting data between the business community, the accounting sector and the Norwegian Tax Administration. It is expected that it will be easier for business with bookkeeping obligations to submit the requested data to public authorities, as well as perform internal audits in companies, analysis and share data. It is also anticipated that in the long term it will be easier to store accounting records, change accounting systems and to integrate with other systems. Undoubtedly, the new way of collecting accounting data will lead to more efficient audits for the authorities. 8. Are there any defined SAF-T filing deadlines? Since there are defined periods when VAT returns has to be submitted, there is a question whether similar deadlines for SAF-T will be determined. Currently, the entities subject to the Bookkeeping legislation in Norway are only obliged to submit the SAF-T upon request by Tax Authorities (in case of audits and controls). However, we cannot exclude the possibility that in the future the reporting obligation for SAF-T will be synchronized with the VAT return periods. Most of the available accounting software is now based on SAF-T standard and both VAT return and SAF-T report are constructed on the same VAT codes. 9.What about the VAT return? Looking at other countries that keep going with the SAF-T trend, questions about the future of the VAT return arise. For instance, the full implementation of the SAF-T in e.g. Poland resulted in a quite a debate in that respect. The file turned out to be an efficient tool to gather almost all possible companies’ data to the extent that it seems to be unnecessary to pursue with VAT returns. However, in Norway there is no current timeframe for removing the obligation to submit VAT returns. Please find below useful links to all the official technical requirements set out by the Norwegian tax authorities’ website. Current version of the SAF-T is marked v1.2 published July 2017. This is the only available information about the technical requirements published by the Norwegian tax authorities at this point of time. The below link includes all updated Norwegian SAF-T Schemas, codelists, testfiles etc. that might be helpful for the IT department. To prepare for the upcoming SAF-T obligations in Norway, I recommend that companies as first step analyse their master data / VAT codes / general ERP set-up, if the systems provider has not already implemented a report for Norwegian SAF-T reporting (unlikely for companies outside Norway). Based on this analysis; we can assist you in this phase, reviewing the current set-up and the Master Data in the ERP system and pinpointing shortages that would make it difficult to produce the applicable data in the required SAF-T report. We can also assist in communication with the ERP systems providers, or we can help you find a way to produce a manual report based on the current System. Categories: Tax Knowledge | Tags: accounting, deadline, implementation, Norway, Norwegian Tax Authorities, SAF-T, Standard Audit File | Permalink.